Its no secret, I eat raw meat–every day. 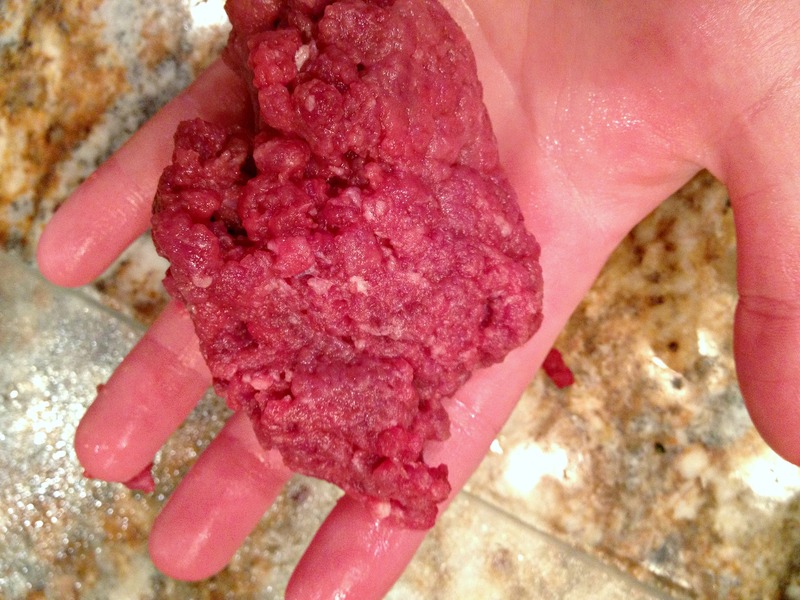 Do you eat raw meat–if not you are missing out. I bet I can convince you in this post. When I first started, I did not have a meat grinder. I would cut up the meat in small bites, but I could never really “chew” it right. I realized that the only way I was going to eat raw meat was only if it was ground. I started to buy pre ground bison meat, but honesty freshly ground and pre ground are completely different in taste, texture, and smell. It is like eating a frozen raspberry or a fresh one–I would rather eat the fresh one (if I could eat berries). So today I will show you and explain how to grind your own meat! (I use bison, but we have ground beef too). I bet you would be more willing to eat beef raw, if you picked the source and ground it yourself, am I right? I don’t just eat any raw meat, but I carefully pick the farm and even talk to the farmer. Plus, the ground meat I your stores might have citric acid on it to keep it a bit fresher (even in natural coops). 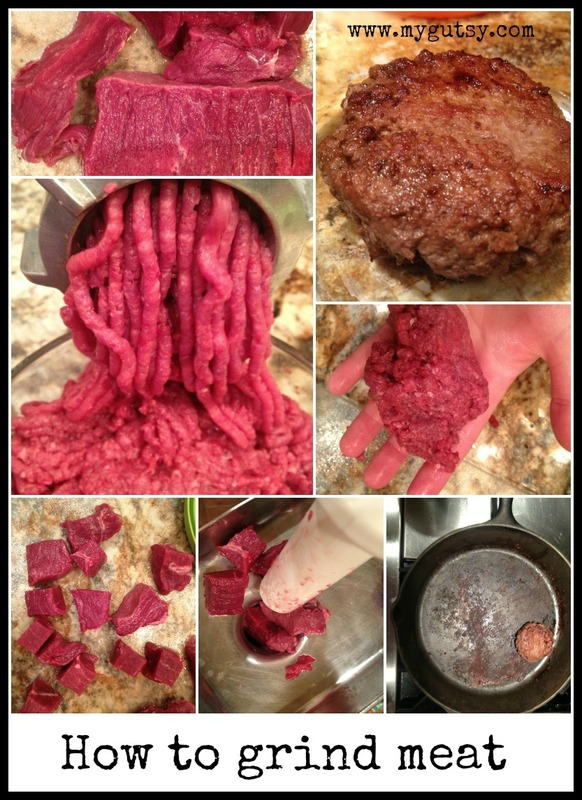 Not sure about eating raw beef?– read why it is healthy here. The main reason why I got a meat grinder is because I am sensitive to corn and citric acid is corn derived. Even pre ground meat can be a problem for me because of the soap or oil they use to clean the grinders with. I was just better off getting my own. I ended buying this Electric Meat Grinder (update: a year later and I still love and use my grinder weekly! It is holding up very nicely). If you have a kitchen aid you can get this attachment . I understand most of you will probably grind beef instead of bison. My body likes bison better and it is readily available in MN. I will give a short lesson about the parts of the cow so you get accustomed as to what cut you are eating and where it comes from. The bison cuts are very similar to the cow chart. (I made it myself, thank you). I learned a thing or two about cow anatomy while I was writing this post! What kind of meat to grind? 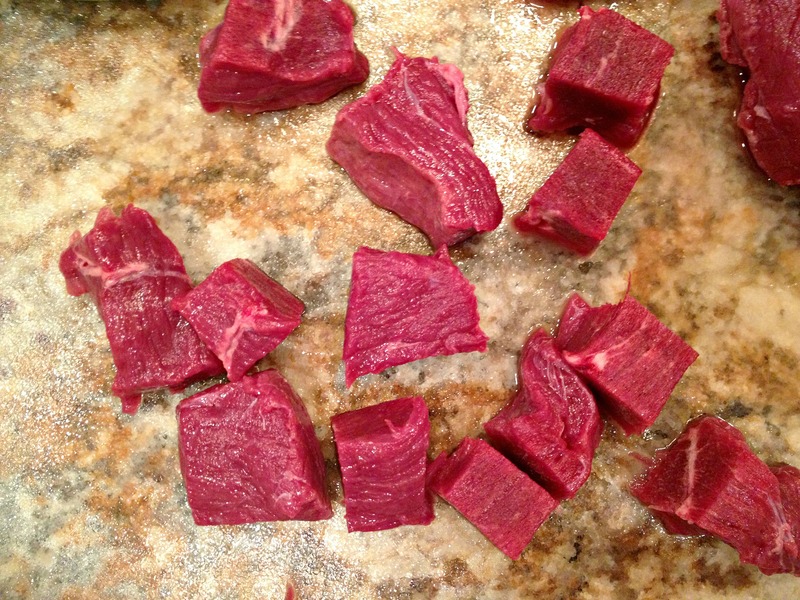 Get your “guide to meat cuts” in this post here. Here are a few good combinations that are commonly used. Feel free to create your own-now that you know the parts of the cow. 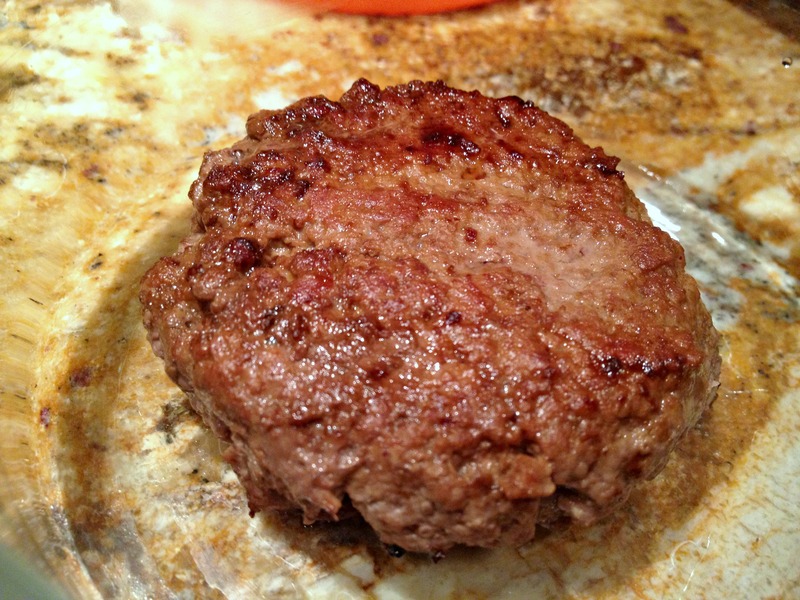 Ideally , you want your burgers to have 20-30% fat to keep them moist and juicy. Ask the butcher if you can get “extra trimmings” for grinding your own burgers. A good amount of meat to grind is 2 lb for a family of 4. It does not hurt to have leftovers or freeze. *The HUGE plus to grinding your own meat is that you can throw in extra organ meats (adrenal, heart, liver, spleen) and it will blend right in. I would start out with a small amount to “hide” the taste if organs are not your thing. Prepare then the same way (1 in and freeze for 30 min). Organs are lean to make sure to add a but extra fat. Ground meat is not a specific “cut” in particular. There is ground chuck, ground roast, ground sirloin, and then ground beef–but really you can grind any cut. Dont push on the burgers with your spatula-they will get tougher. Keep the burgers on the rare side-because you can! Season the burgers before cooking. Don’t put seasonings though grinder-mix in a bowl after it is ground. Shape the raw meat patty flat-it will swell and shrink. Use grass fed meat for better taste and nutrition. or just eat your meat raw! 1. Cube the meat into 1-1 1/2 inch cubes. Trim off the silver skin or gristle (it will clog the grinder and taste hard in the cooked burger). I cut my meat on a Glass Cutting Board for easy clean up. I use this knife (always use a sharp knife). 2. Put the cubed meat in the freezer for 30 minutes to harden up. This step is important and will assure nice separate strings-of-meat instead of a mushy clump of gooey-meat from the grinder. Trust me, I have made this mistake thinking “oh it will save me some time”. Nope don’t do that! Plus the fat gets melty and mushy. 3. Grind the meat: Assemble your grinder. Make sure all the parts are clean and dry. You can also freeze the parts of the grinder too for easy grinding (not necessary unless your grinder heats up a lot). Load a few chunks of meat in the grinder at a time. If you put too much in, the meat can get backed up. Use the “plunger” an NOT your fingers-be careful. 4. Season and shape: After all the meat is ground up, now is the time to season it with sea salt and/or spices. 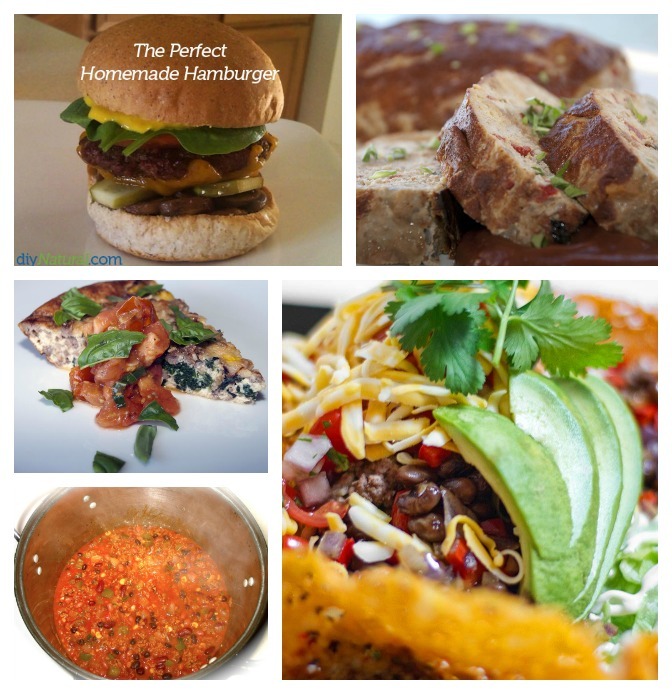 Shape your burgers in any size that you will like. Remember, the fatter the burger–the more it will shrink and swell inwards. Make sure it is flat with an indent in the middle. Don’t over work the meat. 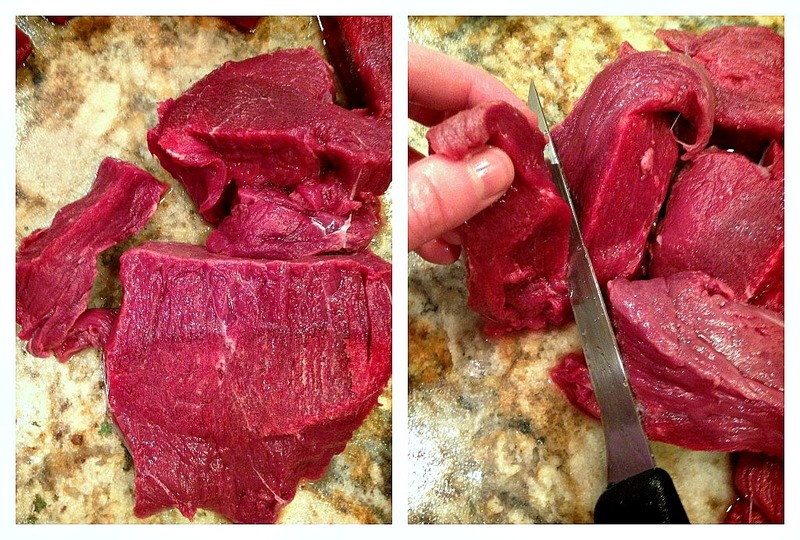 Roll the meat in a ball and flatten with your finger tips. 5. Cook (optional): Cook the burger on medium to high heat until it is done to your likeness. Use a grill or a pan (lightly oiled with heat safe oil). I use this cast iron pan. 6. Eat! yumm, so fresh! nothing beats a freshly ground burger :). sorry for the bad picture!